Errol Barrow Day is a public holiday in Barbados. It has been celebrated on January 21 (Errol Barrow's birthday) since 1989. The holiday honors the first Prime Minister of Barbados. Errol Walton Barrow was born on January 21, 1920 into a family of civic and political activists. He graduated from Harrison College in Bridgetown and served in the Royal Air Force during the Second World War. After the war, he studied law and economics in London. In 1951, he became a member of the Barbados Labour Party and was elected to the Barbados Parliament. Four years later, he formed the Democratic Labour Party and instituted many progressive social programs. By 1961, his party controlled the government. From 1961 to 1966, Barrow served as Premier of Barbados. In 1966, Barbados declared its independence from Great Britain (largely due to Barrow's efforts), and Errol Barrow became the country's first Prime Minister. Errol Barrow suddenly died on June 1, 1987. In 1989, his birthday was declared as a public holiday to commemorate his contribution to the declaration of the country's independence. 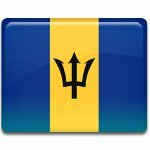 It is the second public holiday of the year in Barbados (after the New Year's Day). On Errol Barrow Day, most of the businesses in Barbados are closed.